Here is a book that offers something new and stimulating, and it matters little if you are already acq­u­a­inted with the scholarship around Bab­asaheb Bhimrao Ramji Ambedkar or not. Sharmila Rege, well known for her collection of ‘testimonies’ by Dalit women and her writings on caste and gender, has gleaned from the huge corpus that now constitutes Ambedkar’s leg­acy a selection of his writings, which she has ably introduced and commented on. While the figure of Ambedkar has burst forth in public life across the country in the last two decades, his writings have been rather slow in finding their place, whether in movements or academe. And as Sharmila Rege points out, his thinking on gender has been engaged with the least, which is what she has sought to rectify in this volume. She argues convincingly in the introduction that feminists must reclaim Ambedkar. He already enjoys a huge following in popular culture in Maharashtra, one in which posters, music and pamphlets bring out his life and work in ways that she finds both “confusing and diverse”. Some feminist scholars have rediscovered the centrality of caste for understanding gender discrimination since the 1990s, as in studies of the non-Brahmin movement, or in the historical emergence of “Brahminical patriarchy” in early India. Ambedkar himself was, as the writings included in this volume amply attest, deeply convinced that the subordination of women was an essential facet of the creation of a caste system, and it is a failing that current scholarship and anthologies on his work have not brought this out. Ambedkar argued in an essay that Brahminical endogamy was imitated by others to become our caste system. The volume is divided into three sections. The first one, entitled Caste as Endogamy, introduces two pieces by Ambedkar, the first written as early as 1916. Ambedkar intervenes in the anthropology of the time to show how “unnatural” and yet durable was the creation of a class (of Brahmins) that superimposed marriage within the group when exog­amy (marrying out) was the norm hitherto and elsewhere. It is this endogamy that was, according to Ambedkar, subsequently imitated by other classes to become a caste system that has given India its cultural unity. The next essay written much later opposes the widespread view that it is the Buddha’s misogyny that led to the downfall of women after the Vedic period, and places the onus squarely on the Manusmriti. 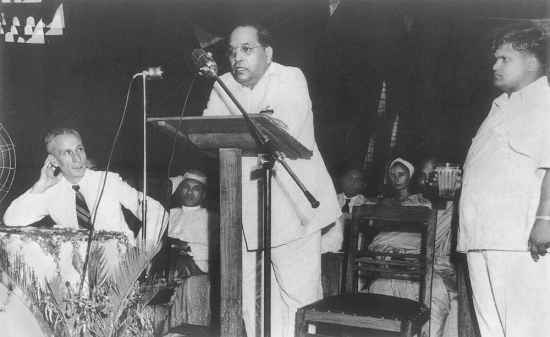 The second section, from which the book takes its title, shows us Ambedkar locking horns with several religious texts and figures. ‘Manu’s Madness’ can be found in his categorisations of various kinds of castes (especially so-called mixed castes), marriages and forms of kinship, where his obsession with hierarchy is mirrored by the “graded violence” (this is Rege’s apt term) that is meted out to a woman based on her caste location. Another short critical piece on Rama and Krishna included here, which was first published posthumously in 1987, triggered widespread protests, leading to its initial withdrawal, followed by counter-protests and its subsequent republication. The third section takes us to the eve of Indian independence, the Constituent Assembly and the first years of the new nation seen from the prism of the fate of the Hindu Code Bill. Ambedkar was India’s first Law Minister and it was he who took it upon himself to subject Hindu personal laws to a fundamental overhaul in the name of gender equality. Yet, as he put it in his presentation to the Constituent Assembly, there was nothing radical in the proposals, all that was being attempted, he said euphemistically, was “repairing those parts of the Hindu system which are almost become dilapidated”. This section has an excellent choice of pieces to convey the extent of what he attemp­ted, the pain in seeing the Bill stalled, fragmented and diluted over a period of four long years, and the reasons he fina­lly gave for resigning. Instances of Manu’s madness can be found in the gradations of punitive measures invited by violations of strict social codes. This book of under 250 pages manages to cover an enormous terrain along with commentary that delves into Ambedkar’s life and times, offering valuable and thought-provoking interpretations of his work. Questions are thrown up for this reader—about the method of seeking the meaning of caste through speculations about its origin in a distant time; about the very focus on the “rise and fall of Ind­ian womanhood” and why this was such an obsession; on the explicit role that sexuality played in classical texts in suturing the links between caste and gender, and so on. But these kinds of que­stions demand that we engage more with Ambedkar, and read this excellent book from which there is much to learn.